Build a shelter, light a fire, cook a meal, make something to take away. You’ll need to build a shelter, your own den in the woods. You’re going to eat so you’ll build and light your own camp fire (but no matches!). 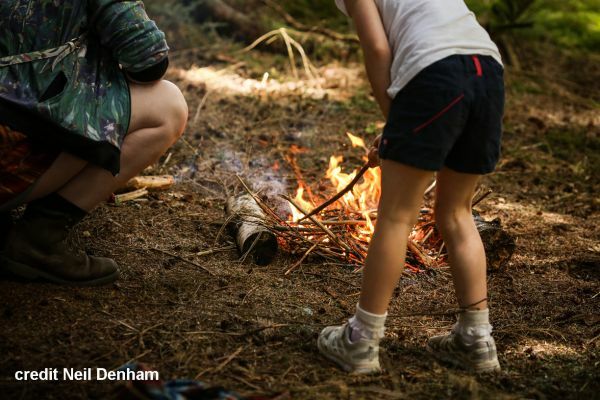 You’ll cook your food and then sitting round the fire you can have a go at making an elder-wood pea-shooter or a string bracelet from nettles! Eat before you arrive and bring your own food to BBQ over your fire. The activity leader, Bruce Ferguson, is qualified through the Institute for Outdoor Learning to teach bushcrafts to groups and has been involved in bushcrafts and teaching woodland skills for over 30 years. All our leaders are DBS checked.